When a PointGrey camera (used as Vertical or Horizontal camera) is power cycled (power disengaged then re-engaged), the camera might revert to its default factory settings. Changes to camera settings, such as shutter, gain, frame rate, etc., will therefore be lost if the camera loses power (the camera LED will turn off when the camera is not powered). There is a work around that you can use to modify the settings of your camera and save them. Note: This utility ships standard with the camera driver, but if the driver has been installed as MINIMAL this utility will not be installed. Your connected camera should appear in the list of available cameras. Click on the OK button to start a preview. 3] This will bring up a live preview of the camera. From the menu select Settings > Toggle Camera Control Dialog. 4] Use the sliders on this new dialog to adjust the image until it meets your requirements. Turn Auto On/Off to manualy configure a setting. 5] Once you have finished the configuration click on the Advanced Camera Settings button on the left. 6] Under Memory Channels select 1 from the Channel drop down list. 7] Click on the Save button just below the memory channel you selected. You have now saved your current settings to the camera on memory channel 1. It should now remember these settings even after power has been disconnected! The last saved memory channel will be loaded by the camera when powered on. Note: Saving to the default memory channel restores the camera to factory defaults. The camera will NOT store your new settings on the default memory channel. Make sure you have selected memory channel 1 ! 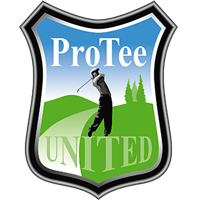 ProTee Golf Simulator 2.0 - The Ultimate Golf Simulator for home and commercial use.